Blockchain technology and cryptocurrencies like bitcoin may “have a lot to offer”, but the price of bitcoin is “looking very bubbly”, an investment manager has warned. The AMP Capital chief economist, Shane Oliver has said in an investment insight that cryptocurrencies and the blockchain which facilitates them “seem to hold much promise”, however there are “serious grounds for concern”. Acknowledging that the value of bitcoin and blockchain lies in the fact that there is no need for a “trusted central authority” and acts as a “low-cost medium of exchange” for international transactions, he said it is “impossible to value” as it has no yield and “unlike gold you can’t even touch it”. He also argued that growing competition from other cryptocurrencies will push the price down and governments will simultaneously be unlikely to relinquish their “monopoly on legal tender”. As such, the general public will find it difficult to access the currency. That is, he added, unless the government itself establishes its own cryptocurrency which some are already considering. “Fourth, while bitcoin may perform well as a medium of exchange it does not perform well as a store of value, which is another criteria for money,” he continued, pointing to the five “large” setbacks in value. As such, he argued that bitcoin has “all the hallmarks of a classic bubble”. He explained that these hallmarks are: “A positive fundamental development (or “displacement”) in terms of a high tech replacement for paper currency, self-reinforcing price gains that are being accentuated by social media excitement, all convincing enthusiasts that the only way is up. The problem is that as the price increases, so too does the risk of a crash. “I also still struggle to fully understand how it works,” he conceded, but cautioned that the “one big lesson” from the GFC was to avoid investing in things that are not fully understood. According to Dr Oliver, a crash wouldn’t impact on the entire economy due to its lack of major connections with the economy, but the risks have the potential to grow as more investors buy in. Dr Oliver said investors need to recognise that not only fundamentals, but the behaviour of an “often-irrational and erratic” crowd can impact the investment market. Because of this, investors need to be attuned to their “emotional capabilities” and their tendency towards cognitive biases. “To help guard against this, investors ought to choose an investment strategy which can withstand inevitable crises and remain consistent with their objectives and risk tolerance,” he suggested. To the chief economist at ABC Bullion, Jordan Eliseo, the ability of bitcoin to "make its way into mainstream finance" and general conversations is helpful as it promotes the "broader and necessary conversation about the nature of money itself". Expressing support for blockchain and bitcoin, Mr Eliseo said: "If history is to repeat, or even just rhyme, then investors and savers should be on the lookout for a major change to our monetary system in the coming years. More importantly, they should do their best to ensure their portfolios are sufficiently robust to weather that change, and take necessary action if required." He continued: "Crucially, this need not mean investors and savers have to choose just one monetary basket, and put all their wealth into precious metals, fiat currency or cryptocurrencies." 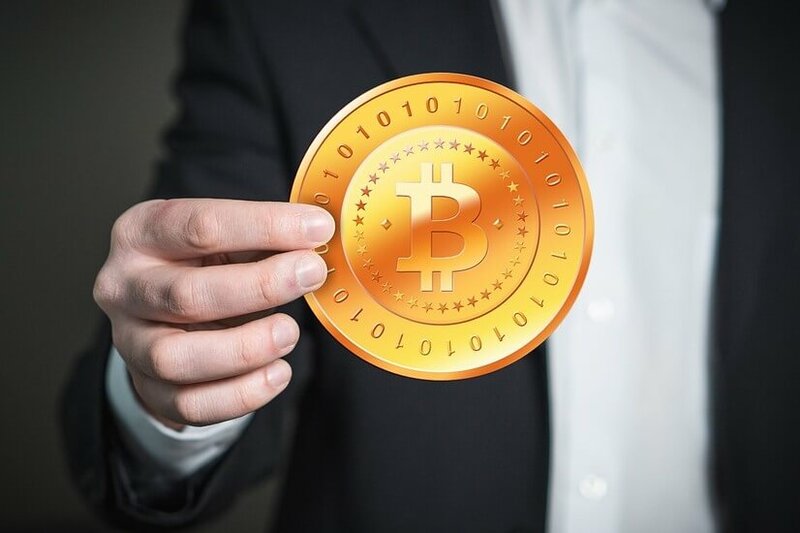 Additionally, a recent finder.com.au survey found that while 93 per cent of experts surveyed do not predict digital currencies will be adopted “for widespread use”, 94 per cent think blockchain – the digital ledger which records the transactions of digital currencies like bitcoin – “will have widespread adoption” in both the economy and the financial sector. Meanwhile, the Reserve Bank of Australia (RBA) has said bitcoin does not “appear to raise” regulatory concerns.